Stay up to date with german magazines. Magazines There are 13 products. 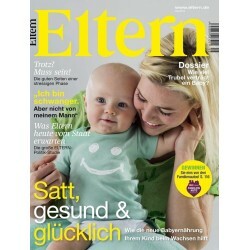 ElternGerman MagazineMonthly released German magazine for parents Language: GermanNOTE: This magazine is released monthly.Picture is an example. You will get the latest issue which is available at the time of your order. 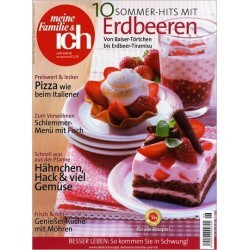 meine Familie & ichGerman MagazineMonthly released German culinary magazine Language: GermanNOTE: This magazine is released monthly.Picture is an example. You will get the latest issue which is available at the time of your order. Every month delicious recipes, lots of tips and tricks on how to cook as well as the latest information about nutrition. 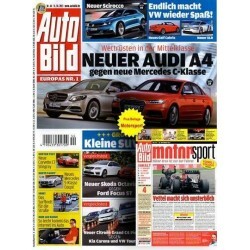 AutoBildGerman MagazineLanguage: GermanThe competent guide for all car drivers. With tests, actual news about car models and a lot more.NOTE: This magazine is released weekly. Picture is an example. You will get the latest issue which is available at the time of your order. 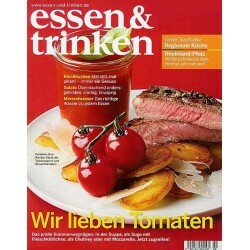 Essen & TrinkenEat & DrinkGerman MagazineMonthly released Germany's leading culinary magazine Language: GermanNOTE: This magazine is released monthly.Picture is an example. You will get the latest issue which is available at the time of your order. 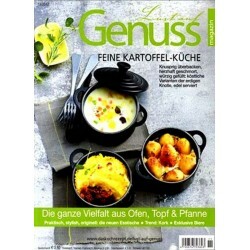 Kochen & GenießenGerman MagazineMonthly released German culinary magazine Language: GermanNOTE: This magazine is released monthly.Picture is an example. You will get the latest issue which is available at the time of your order. Die Aktuelle German Magazine Language: German Die Aktuelle is a modern magazine for women who want to be informed about trends in the society and the life of the stars very well. NOTE: This magazine is released weekly. Picture is an example. You will get the latest issue which is available at the time of your order. 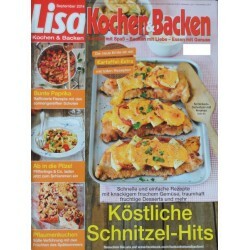 LisaKochen & Backen German Magazine Language: German "Lisa Kochen & Backen" is a cooking and baking journal for everybody which cooks and bakes with pleasure and fun. 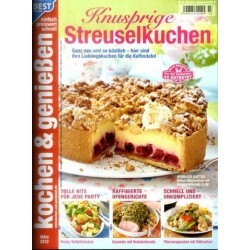 Large selection of recipes in every issue. NOTE: This magazine is released monthly.Picture is an example. You will get the latest issue which is available at the time of your order. 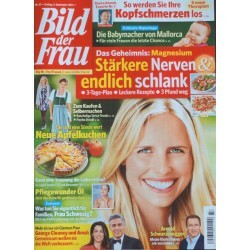 Bild der Frau German Magazine Language: German Every week Bild der Frau offers useful tips and advice in the sections to fashion, cosmetics, prescriptions, diet and many other areas of life. NOTE: This magazine is released weekly. Picture is an example. You will get the latest issue which is available at the time of your order. Test product - please do not order. Bunte German Magazine Language: German VIP Magazine With many pictures and stories about secrets of different VIPs, Fashion and more. NOTE: This magazine is released weekly.Picture is an example. You will get the latest issue which is available at the time of your order. 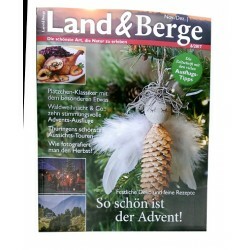 Land & Berge German Magazine Language: German Land & Berge Magazine turns to persons who travel with pleasure and love the nature. Every issue devotes itself to the actual season / time of the year. NOTE: This magazine is released every two month. Picture is an example. You will get the latest issue which is available at the time of your order.